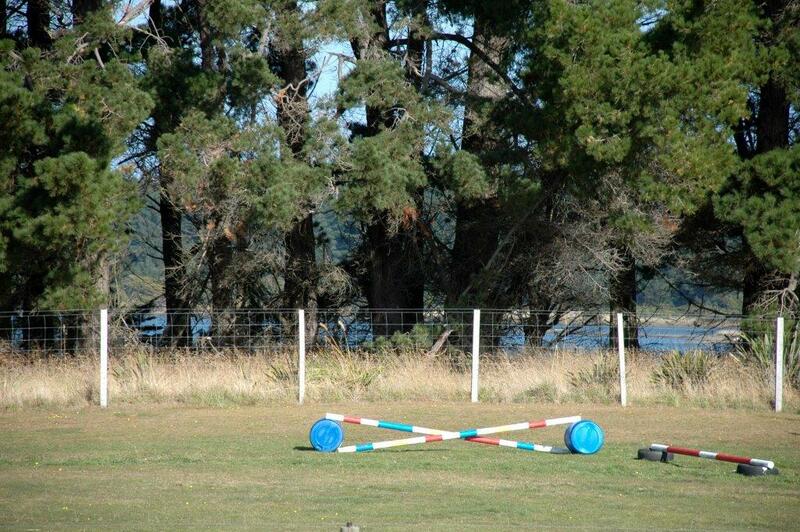 The extensive facilities at Flying Horse are available for private hire by groups, visiting trainers or individuals. $10 per hour pp. Contact us to discuss a discounted rate for your group or clinic. 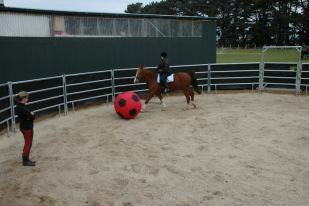 Olympic size all weather arena fully fenced for safety. Washed crusher dust surface. Lights. 16m diameter roundpen with 6ft high solid sides. Eucalyptus chip surface. Lights and viewing platform. 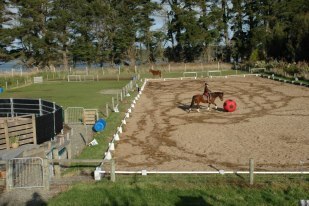 Jumping paddock (sand oversowed with grass). Variety of jumps. Five 4.5m X 4.5m Loose Boxes ( one can open up to 4.5m X 9.0m, For horses that need extra room ie Foaling Mares ). Large (4.5m X 9.0m) Indoor Wash Down/Grooming bay with Hot/Cold Horse Shower and power point. Good Lighting.